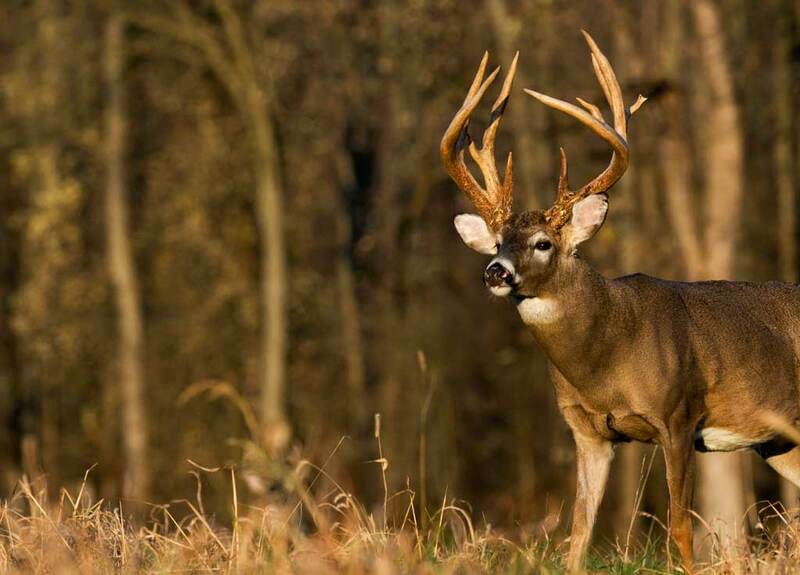 25 Projects To Improve Your Hunting Land: They All Add Up! Improving the land and habitat for deer and other wildlife takes place one step at a time, by accomplishing one specific goal at a time. In this article, we’ll look at 25 projects almost any gamekeeper who has access to private land can do whether he owns just a few acres or manages hundreds of acres. In both cases, the needs of deer and other wild animals are the same—food, water, cover and space to live in. The simpler projects here might take just a few hours. Some of the others might require a couple of days. Still others are ongoing and never really end. It’s important to realize that no single project will make a dramatic difference. But as you complete more and more of them, the results will vastly improve the land you own or lease for deer, as well as turkeys, upland game, waterfowl and other wildlife. The more of these projects you tackle and complete, the more mature bucks will want to call your property their home all year. And while many of these projects are perfect for the summer season, there are plenty of things on this list you can do year-round. If you love wildlife and want to improve habitat SUBSCRIBE TODAY! 1. Add an extra shot (or two) of fertilizer to food plots during late summer or fall to boost their production, protein content and taste appeal. Fertilize established wheat, rye, oat, and brassica plots with pure nitrogen such as 46-0-0, or use a multipurpose 20-20-20 mix. For clover and alfalfa, skip the nitrogen. These legumes fix their own. I like to combine 0-46-0 and 0-0-60, but mixtures with just a bit of nitrogen such as 5-10-10 will also work and may be easier to find. 2. Clear an access trail to make it “convenient” for deer to reach food plots, or stands of pear, persimmon or apple trees from thick daytime bedding cover. Sure, they’ve probably already found these on their own. But if you make it easy for them by carving a trail, chances are they’ll take it. And while you’re clearing that trail, get double benefits out of this project by swinging the route within shooting range upwind of a good potential stand or ground blind location you’ve scoped out. 3. Reactivate mineral licks. These are used mostly during spring and early summer, but keeping them active and available year-round helps “anchor” bucks on your property. (Be sure to check your state regulations first.) Break up the ground with a shovel and mix in 10-20 pounds of fresh deer minerals 6-12 inches deep. Or, it doesn’t get easier than placing out a fresh BioRock every few weeks. 4. Trim back native shrubs over six feet tall and those you’ve planted such as red osier or graystem dogwood, chinquapin and lespedeza. They’ll grow bushier and thicker, providing more cover and browse down at the level where deer can use it. 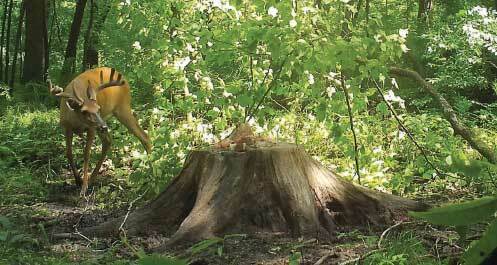 Remember, it’s the two to three inches on the end of the branch/stem that whitetails utilize. Shorter with more stem density is better than tall plants with browse that is out of reach. 5. Pick up rocks and debris in plots and potential plot sites that could damage tilling or mowing equipment or hinder plant growth. Even a piece of bark blown off a nearby tree could kill several clover plants. And because of the ground’s thawing and freezing, rocks that weren’t visible before can heave to the surface, so make note of these and remove on this project. Or, use a leaf blower or rake to clear debris off of newly-planted plots in the woods. Too many leaves can smother the seedlings and prevent them from getting adequate moisture or sunlight. 6. Take a soil sample and send out for analysis. BioLogic offers a fast, inexpensive test on their website, or most local farm co-ops perform this function for a modest fee. It’s important to see if your lime and fertilizer needs have changed, and to find out exactly what the soil needs, especially if you’ve never checked it before. The tests will show if you need major elements like sulfur along with the commonly applied nitrogen, phosphorous and potassium. They’ll tell you if your plots need minor micronutrients, too, such as manganese, zinc, copper or boron. You don’t read as much about them, but these micronutrients are vital for maximum growth of plants and maximum nutritional value for the wildlife that eats them. 7. Add extra lime to your plots. It’s almost impossible to get alkalinity too high, except in a few specific regions. If you want to be more precise, a simple test kit or a pH meter will tell you the soil’s acidity and help to calculate exactly how much lime you’ll need to add. Generally one to two tons per acre is a good amount to apply. If your soil is highly acidic, you may need more than that. You can often get this delivered and spread by farm co-ops or agricultural companies for as little as $30 to $50 per ton. 8. Spray established clover and alfalfa plots with selective herbicides such as Weed Reaper, Poast or Vantage to reduce grass and weed competition. Follow the directions carefully and these will not harm your clover or chicory. Make sure no rain is in the forecast. You can also spray potential future plot sites with Pursuit or Prowl at this time to kill weeds before planting. 9. Hand-weed small plots when new seedlings are coming up, but it’s too soon to spray, or when weeds are spread widely apart. This is good exercise and fun if you get the kids to help. Give them some youth garden gloves and make it a game. 10. Plant a 30 to 40-foot-wide row of shrubs along the edge of your plots where they adjoin woods for a buffer or staging area where deer will feel comfortable before entering the open food plot. Put in plants recommended by your state forestry department or local NRCS, or use species such as Allegheny chinquapin, red osier dogwood, plum, crabapple, mulberry, strawberry bush, American beautyberry, and blackberry. 11. Cut down a few low-value trees along the edge of crop fields and food plots and leave them scattered or make a windrow with an opening strategically placed near your stand. 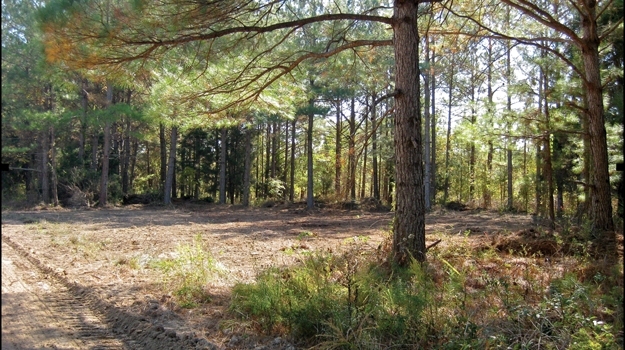 These felled trees make great security cover, encouraging mature bucks to enter the plot during shooting light. Or, hinge-cut some small, low-value trees at chest level just far enough so they fall and provide browse for deer, but continue to grow for a while. They’ll also become anchor points for valuable vine-growing foods such as honeysuckle, grapes, and greenbrier. Cut them along travel routes and at potential bedding and staging areas. 12. Over-seed areas where a plot is too thin or spot seed bare ground areas in a plot. 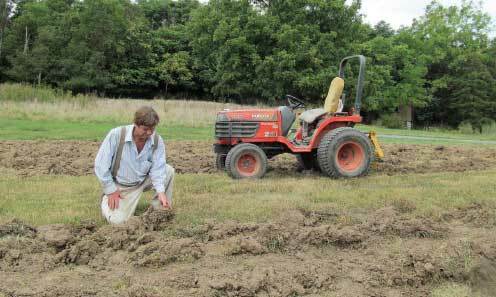 Rough the ground up a bit with a hand rake for good soil-seed contact. Becoming a Gamekeeper is not just the best way to produce great hunting…it’s the best life! SUBSCRIBE TODAY. 13. Mow clover and alfalfa plots down to 4-8 inches to reduce weed competition and also create new fresh growth which is more palatable to deer and higher in protein. Stagger the cuts in different fields or cut strips at different times in a single field so they offer varied stages of re-growth. 14. Cut low-value saplings such as red maple back to “deer-level” so they produce more accessible low browse as they re-grow. Deer will also eat the tender tips of the clippings. A 12-20 foot maple is mostly a waste of space, sunlight and soil nutrients. 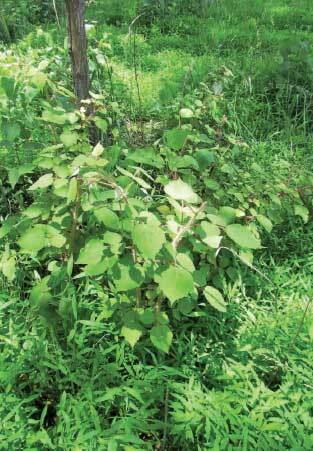 Trim it back to four to five feet high and it becomes a valuable food source for deer. 15. Spray a potential food plot area with Roundup or generic glyphosate, wait for the vegetation to die (10-14 days) and then mow it down. Also remove stumps, brush, and rocks. This will give you a head-start for putting in a plot there later in the summer or next spring. If necessary, respray a few weeks after the initial herbicide application. 16. Release any young fruit and hard mast trees you find from competing low-value trees and shrubs nearby. Pull off and cut back clinging vines that can choke off their growth and compete with them for valuable nutrients, moisture and sunlight. 17 Create a water hole or small pond. Dig a hole to fit a farm stock tank or kid’s pool or simply pile some rocks and logs to dam up a stream that would normally go dry. Deer and other wildlife need water every day. Having it there will keep them from leaving your property to find it, and other wildlife will benefit as well. Sure, large ponds are major, often expensive projects. But you can create “mini ponds” and waterholes with just a few hours of effort. And these isolated spots that only you know about can pay off in spades at times during hot dry spells. 18. Clean stand approach trails. Clear sticks and logs and trim back potential noise-making, smell-absorbing brush so you have an unobstructed, silent path to reach your stands. While you’re at it, trim back branches to open up clear shooting lanes. As a final improvement, plant a row of Blind Spot or pile up a few cut cedar trees to block visual detection by deer as you approach the stand or to give you some cover to draw your bow behind. 19. Plant shrubs or pines to flesh out a potential whitetail travel route that lacks cover. It can mean the difference between just does and small bucks using it, or mature bucks feeling secure enough as well. Alternately, cut and drag in some low-value trees to add cover along the potential travel route or transition corridor. 20. “Daylight” your best oaks by cutting low-value trees inside the tree’s crown area. This will cut down competition for moisture and nutrients. 21. Thicken cover near a water hole so deer will feel secure using it earlier in the day, hopefully while there’s still shooting light. Conifers, shrubs and low growing trees such as crabapple, silky dogwood, indigo bush, and plum are good choices. 22. Plant a few clusters of pines and fell a few low-value trees to create a sanctuary and bedding area near the middle of your property. Then place this area off-limits to travel except to retrieve a hit deer or to do woods-work. This is also a great way to make your land more appealing; both in terms of security and the thermal protection it offers deer during winter. The larger you can make the area, the better. 23. Disk or till strips in fallow fields or old pasture. You’ll kill or reduce fescue and other unwanted grasses and allow beneficial forbs and wildflowers in the soil bank to sprout that deer and turkeys will feed on. 24. Plant small patches and strips of native warm season grasses. Switchgrass is my favorite and easy to grow by broadcasting. Other good choices are bluestem and Indian grass. These offer vital escape, bedding, and fawn-rearing cover for deer. They also protect the animals from cold winds but allow sunlight to penetrate and warm their bodies during clear weather. Planting large fields of NWSG’s is certainly a big undertaking and usually requires a specialized drill. But you can plant these “pockets” of native grass cover in strategic areas with a few hours of work when you have just a bit of spare time. 25. Deep plow a few plots each year. Disking and tilling are the go-to methods for preparing food plots for planting for most gamekeepers, but every few years it’s a good idea to deep plow plots. I like to rotate and do a few each summer. This breaks up hard pan, aerating the soil. That enables moisture to penetrate more easily and plant roots to grow deeper and have access to additional nutrients. Well, that should keep you busy for a while! And we didn’t even hit on dozens of other projects. To monitor your progress, keep a notebook and record tasks you’ve completed and those you still need to get to when time permits. Completing smaller projects makes you feel good about the achievement and invigorates you to do more. There’s always a potential project waiting, but for the gamekeeper it’s all a “labor of love” for wildlife and the land. SUBSCRIBE TO THE GAMEKEEPERS CLUB TODAY. BECOME A GAMEKEEPER. 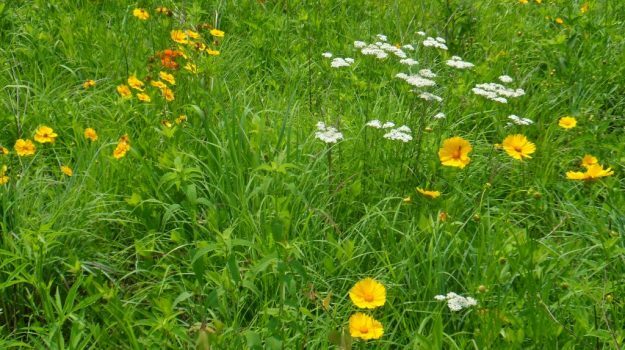 Wildflowers are the in-thing for land and wildlife management, and for good reason. Here are six reasons you should incorporate them onto your own slice of heaven or backyard. 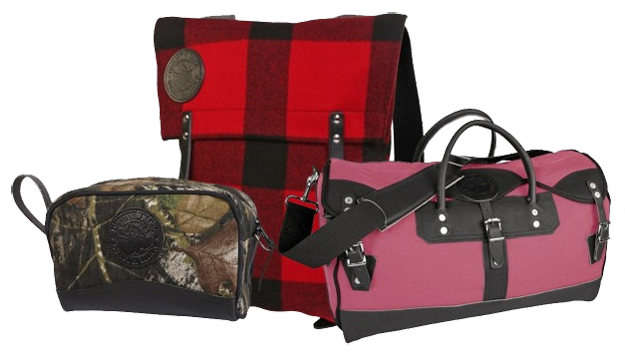 Duluth Pack has announced a colorful new campaign to help a number of good causes. The campaign, aptly titled “25 Colors 25 Causes" pairs a variety of different colored Duluth Pack merchandise with 25 different charitable campaigns.